When you think about revamping the interior design of your home, you would probably imagine buying some new posters, furniture or decorative cushions. However, one of the most effective ways in which to refresh the look of your home is to remove your old tile floor coverings to make way for something new. Tiles as a floor covering comes with a range of benefits. These include being easy to clean, affordable, easy to maintain and they are sturdy to avoid cracks and scratches. Yet, even with all of these benefits, when your tiles become damaged or outdated, having these tiles removed can be the best option. process of tile removal involves breaking up the tiles into small pieces to remove them from the subfloor. Once the pieces are broken up as much as possible, the leftover glue and sealants are then scraped from the surface below the tiles. This scraping and glue stripping process continues until the subfloor is completely smooth and even- ready for the next floor covering installation to begin. But before any of this can commence, the first step is to have the removal area inspected by experienced professionals. 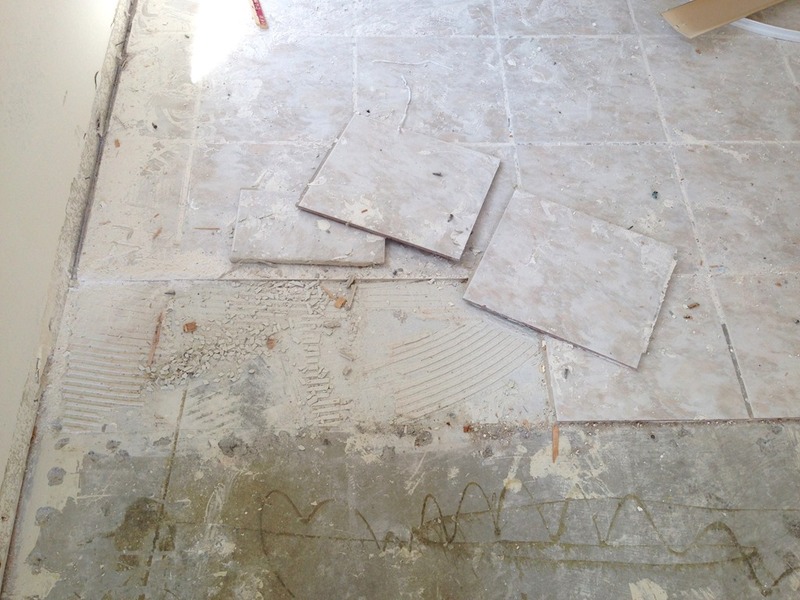 For tile removal in the Burleigh Heads region, you should turn to the team at Totally Stripped. Totally Stripped is a fully insured company, who have earned their excellent reputation by their dust minimisation strategies. This strategy involves using top of the line vacuum equipment while the tile strip takes place, as well as a full clean up of the area before the Totally Sealed tradesman leave the premises. By opting for professionals rather than a DIY job or even an unlicensed handyman, you could end up damaging your subfloor. This may not seem like a big deal at the time, but once your new floor covering is installed, you could end up with pits and rises in your carpets, tiles or timber floors. In turn, this means that the life span of your floor covering will be shorter compared to a tile stripping service performed by professionals. So put away the paint swatches and crocheted cushions. For an efficient and complete makeover for your home, call Totally Stripped Burleigh Heads for your next tile removal.